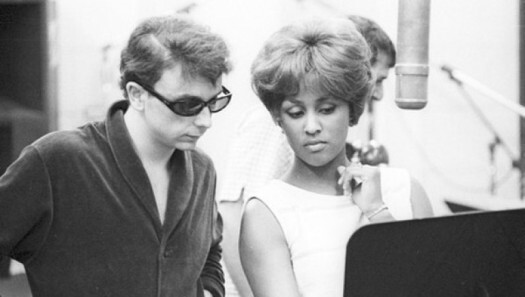 The label’s head honcho, ‘Wall of Sound’ producer Phil Spector (we won’t get into his later sordid life – it’s Christmas! ), originally wanted his then-wife Ronnie to sing the Elle Greenwich/Jeff Barry (the duo responsible for rock classics like “Be My Baby”, “Da Doo Ron Ron”, “Leader of the Pack”, “Hanky Panky”, and “River Deep – Mountain High”) penned tune. But Ronnie couldn’t give Phil quite what he wanted, so backup singer Darlene Love of The Blossoms was called in – and nailed it! This entry was posted in Music and tagged christmas, Christmas (Baby Please Come Home), Christmas song, Cracked Rear Viewer, Darlene Love, David Letterman, Gary Loggins, Phil Spector, Through the Shattered Lens. Bookmark the permalink.